In the early hours of Monday 17 May 1943 one of the most daring low-level night time raids in the history of air warfare took place, when nineteen Lancaster crews from the newly formed 617 Squadron successfully attacked the great dams of Germany. In the early hours of Monday 17 May 1943 one of the most daring low-level night time raids in the history of air warfare took place, when nineteen Lancaster crews from the newly formed 617 Squadron successfully attacked the great dams of Germany. 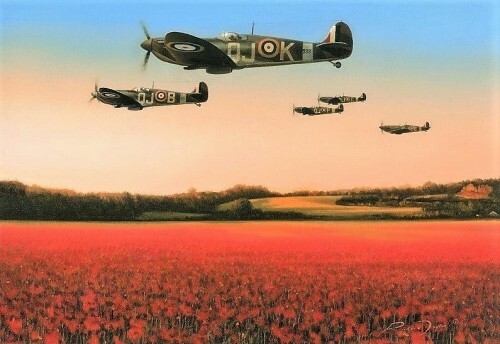 Their audacious mission – codenamed Operation Chastise – gained them immediate fame and legendary status. 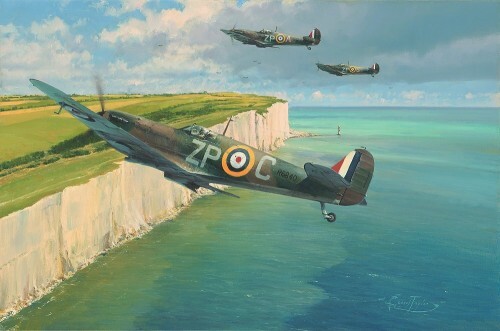 After the Dambusters Raid the squadron remained operational, becoming known as precision-bombing specialists, undertaking some of the most famous missions of WWII; the Dortmund-Ems Canal, Kembs Barrage and sinking of the mighty German Battleship Tirpitz are just a few of the countless operations carried out by the unit. 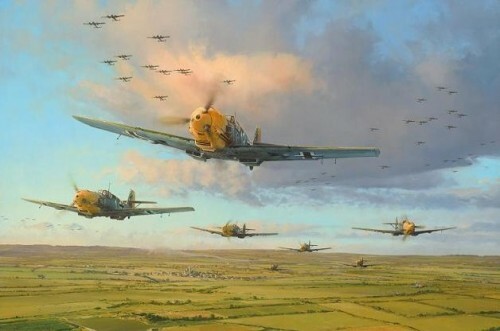 There are few photographic records of these dramatic events, but this lavishly illustrated book tells their incredible story through an unparalleled collection of paintings and drawings from some of the world’s most talented aviation and military artists, inspired by first-hand accounts from the veterans involved. 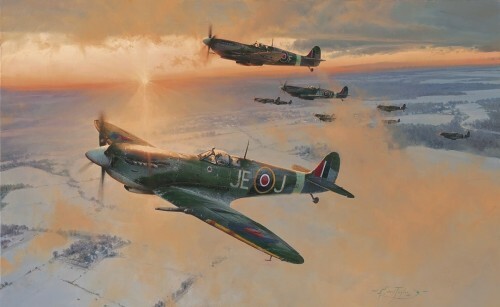 Carefully selected from the archives of the Military Gallery, works by Richard Taylor, Anthony Saunders, Gerald Coulson, Simon Smith and the world’s foremost aviation artist Robert Taylor are all featured. 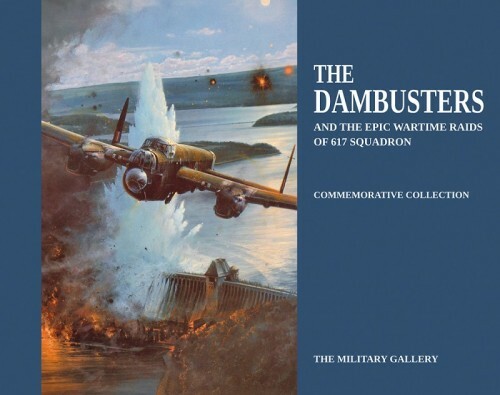 Painstakingly researched with the assistance of world renowned expert Dr Robert Owen, official historian of the 617 Sqn Association, this historically accurate account provides a unique insight into the incredible story of the Dambusters and the subsequent wartime exploits of the legendary 617 Sqn.